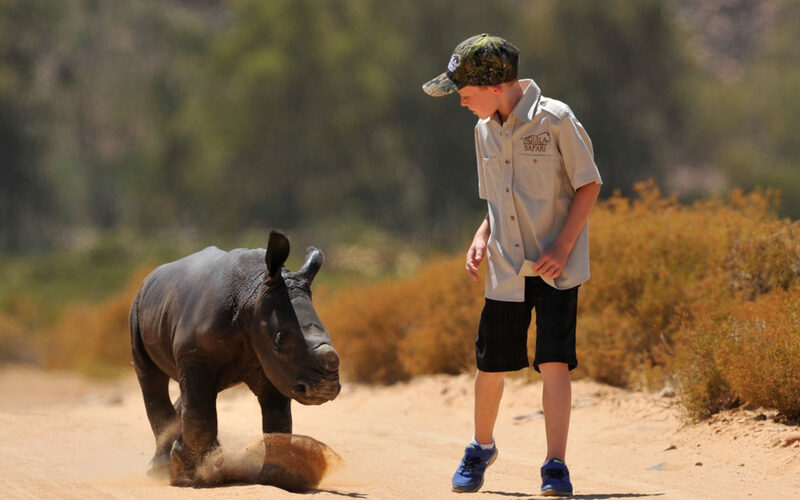 Hunter Mitchell from Cape Town is a young man that inspired the team at Footprint Sports Travel to get involved in the fight against rhino poaching, and do our part to help save these endangered species. Osita was born at Aquila Game Reserve and was tragically abandoned by his mother. The rangers at Aquila put themselves in an incredibly dangerous situation, but managed to rescue the calf. Hunter started raising funds for Osita by donating his pocket money and asking friends and family for donations. It then grew to a Facebook page, radio interviews and billboards around Cape Town. 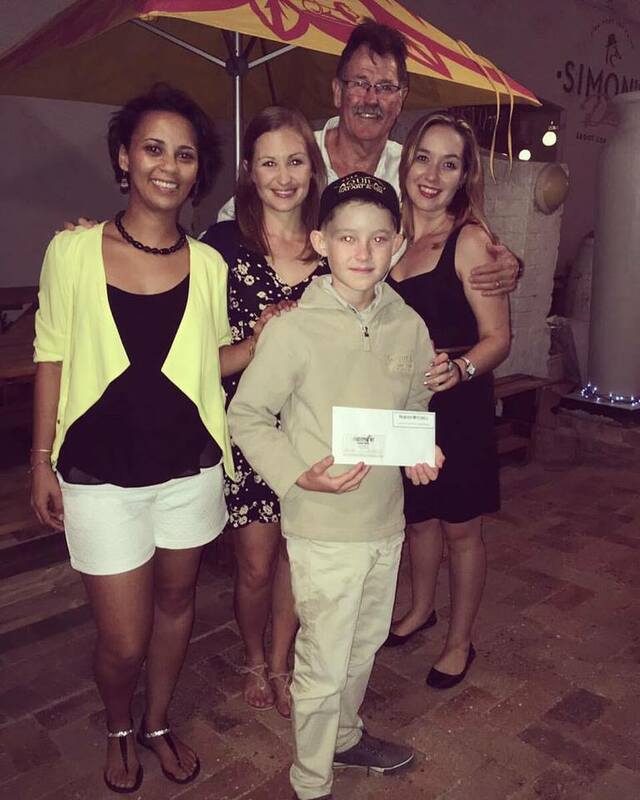 Within months, Hunter had raised R75 000 for Osita. All it takes is a vision, hard work and dedication to be able to make a difference. The team at Footprint heard Hunter’s story on KFM, and this is where our journey with Aquila began. Footprint Sports Travel has decided to donate a portion of each travel package to Aquila Private Game Reserve we sell. For every person who travels through Footprint, they will be contributing to this great cause. 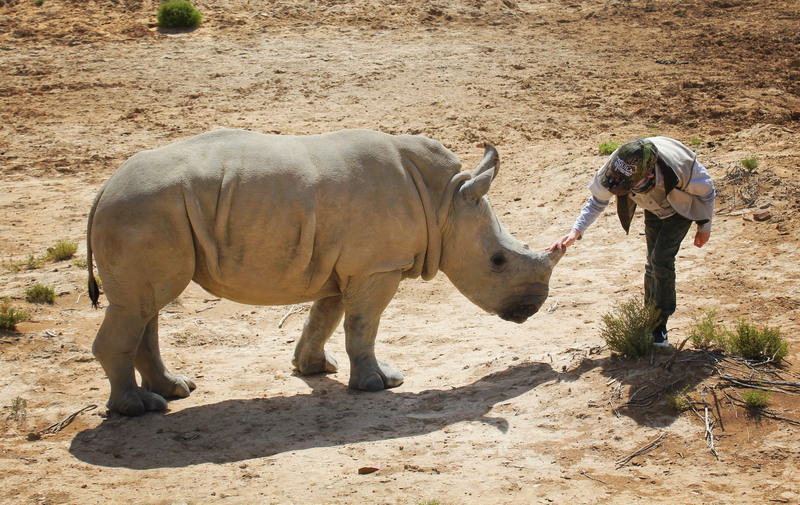 Aquila has recently opened the first rhino orphanage in the Western Cape and needs funds to be able to run this facility. Each year, Footprint hosts a function to thank our suppliers for all the work they have done for us during the year. This year, Van Loveren Family Wines donated a bottle of Rhino Run The Last One for us to auction off. The auction was a huge success and the wine was bought for R7 000. All proceeds were donated, in Hunter’s name, to Aquila. Van Loveren’s Rhino Run range was also on display during the function to create awareness of the work they are doing for rhino conservation in South Africa. Through working with Aquila and Van Loveren, it’s been wonderful to see how many companies are getting involved. Each organization has their own unique way of creating awareness to this worthy cause. I would like to encourage everyone to try and find a way to do their part as we need to stand together to secure the future of our rhino’s. • This guest post was written by Kate Minnaar, Financial Manager of Footprints Sports Travel.